The already-busy walkway at the side of Republic Plaza in Raffles Place is even busier since Hans im Glück, a German gourmet burger restaurant, opened recently. Notably, the restaurant shares the same main entrance as the much- anticipated Singapore flagship centre of the Shanghai-based co-working operator. Spanning six levels — from the second to the seventh — of Republic Plaza, Distrii will occupy a total area of 62,000 sq ft. There will be 900 work stations, private offices and customisable team spaces for between 15 and 50 members. Even before its official opening in July, the space is already 60% pre-leased. The space taken up by Distrii was formerly occupied by the Bank of Tokyo-Mitsubishi, an anchor tenant at Republic Plaza. Early last year, City Developments Ltd (CDL), which owns the 22-year-old Grade-A office tower, announced a $70 million refurbishment that includes sprucing up the façade and driveway, renovating the office lobby and common areas, as well as upgrading the lift system and raising the building’s technical specifications to stay competitive with the newer Grade-A office buildings. It was also early last year that CDL announced that it had invested RMB72 million ($15.1 million) for a 24% stake in Distrii. 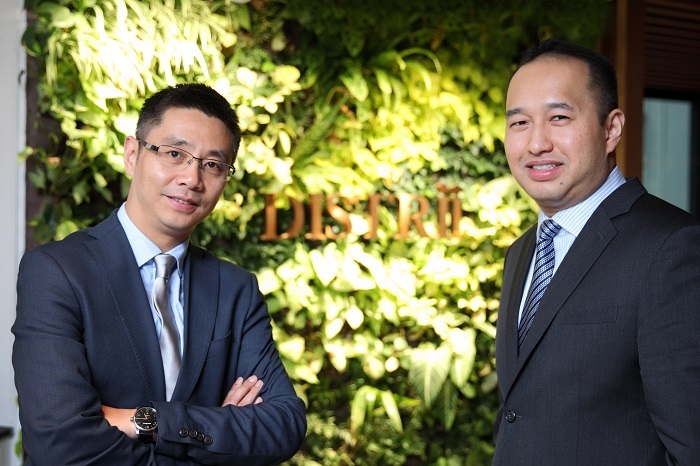 The Singapore property giant participated in a second RMB200 million investment round by Distrii last September, bringing its total investment in the latter to RMB102 million. This makes CDL the second-largest shareholder in Distrii after its founder and CEO Hu Jing. 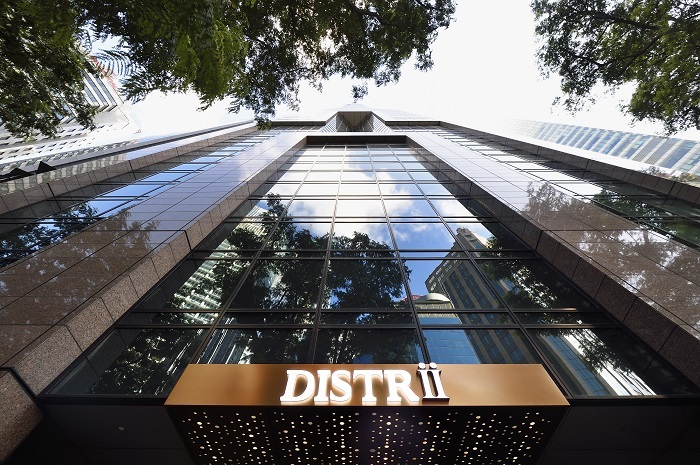 “We invested in Distrii because we saw that it had a unique angle to co-working and technology offerings that is superior to its competitors,” says CDL group CEO Sherman Kwek.